Flic en Flac offers a variety of restaurants. Indian, Thai, Chinese, Creole, European.. you will find it all! Are you on holiday on a budget? No problem! In Flic en Flac you will find enough of affordable restaurants. We made a list of restaurants in Flic en Flac. Our personal favourites: Zub Express and Rib & Reef. Hidden in the sugar cane fields you will find restaurant Domaine Anna. Theatmosphere is really amazing. The lights, the tables on the water and the whole ambiance is magic. 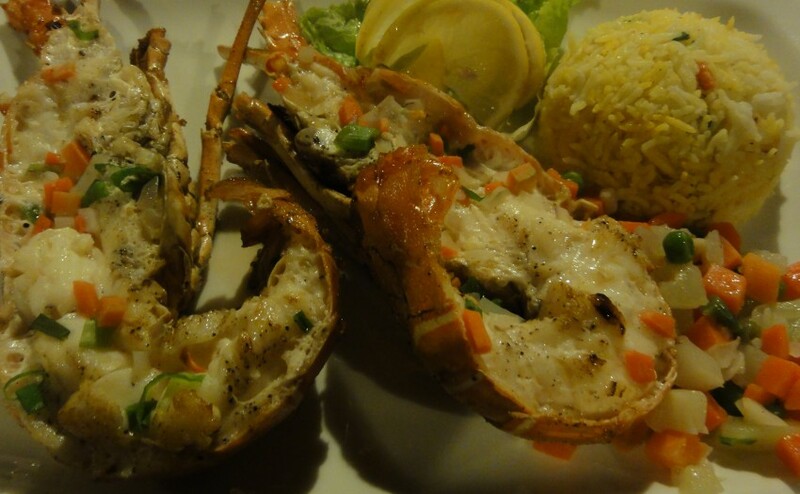 The seafood is famous at Domaine Anna, especially the lobster. It’s a big restaurant, over 100 people can eat there per night. Domaine Anna is located a bit outside of the centre of Flic en flac, so make sure you can go by car or taxi. Chinese and Indian food, 100% guarantee halal food and they say they have the best curries and briyani of Flic en Flac. At restaurant Zub you will have a lot of choices to pick from for a very good price and you can pick everything because it all tastes good. You will find restaurant Zub on the boulevard at the end of the ‘public beach’, close to where the hotels start. Also located on the Flic en Flac boulevard, you will find restaurant Rib & Reef. At Rib & Reef you can eat the most delicious steak and seafood of Flic en Flac! The price is still very affordable. You have to at least try this restaurant if you stay in Flic en Flac. One of the most famous Chinese cuisines in Flic en Flac is Ah Youn. It’s located right in the middle of the Flic en Flac boulevard. Located well, good prices and tasty food.. Make sure to reserve a table at hand during the weekend, because they’re always full! Ever been to Thailand and fell in love with the Thai food? Then you’re lucky to be here in Flic en Flac! To find this small Thai family run restaurant called ‘Sawasdee Thai’ you have to walk the main street running through Flic en Flac from the Spar supermarket towards the gasoline station. It is located near the pharmacy. The cook and owner are from Thailand, so for sure you will taste the real Thai flavours here. Be prepared. This restaurant doesn’t look so fancy, but it has tasty food for a good price! Pizza and pasta! That’s what it’s all about at restaurant Chez Pepe. Do you miss the Italian food during your holiday? At Chez Pepe you have a wide choice of pastas and pizzas for a reasonable price! You can find Chez Pepe at the middle of the Flic en Flac boulevard. Another restaurant, located at the Flic en Flac boulevard. 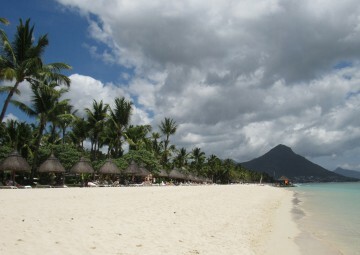 This restaurant is famous for the buffet and Mauritian sega dances on Friday nights.